[00:30:11 CEST] <teratorn> any tips of tricks to profile an ffmpeg filter-graph execution? [01:27:50 CEST] <kepstin> teratorn: what are you trying to accomplish that makes you think profiling an ffmpeg filter-graphi is the solution? [01:31:10 CEST] <Cracki> they're filters. they cost something. [01:31:30 CEST] <Cracki> and you use them because you have to. [01:32:20 CEST] <Cracki> I have no clue, but perhaps looking at the threads and their call stacks could be insightful. [01:40:59 CEST] <kepstin> anyways, ffmpeg doesn't contain any code for measuring execution time per filter instance. Profiling it with a regular code profiling tool would be tricky, particularly if you have multiple instances of a filter. [01:42:25 CEST] <kepstin> something that might actually be useful is running ffmpeg with -v verbose and make sure that you're not getting a lot of auto-inserted scale filters for pixel format conversions between filters. [01:43:14 CEST] <kepstin> other things to keep an eye out is to avoid using overlay filters when you can use hstack or vstack. [03:04:00 CEST] <kepstin> for large programmatic filters you can also write them to a separate file then use the -filter_complex_script option. That avoids command line length issues, and sometimes makes it easier to read/debug. [05:13:37 CEST] <galex-713_> is stereo3d filter interleaved mode notably broken? [06:37:40 CEST] <TheAMM> Is there some way I could initialize the encoder without using the first output frame? [06:38:40 CEST] <TheAMM> I'm not at the machine to test it right now, but would vf trim work, or do I have to go wild with nut-piping into another ffmpeg that would drop the first (premature) frame? [08:41:02 CEST] <Cracki> indeed. could be a fragment. [08:41:11 CEST] <Cracki> I'd expect dat6 and dat8 to exist? [08:44:08 CEST] <pragomer> I think too, that it is just a fragment.. so... I think it wont be worth the efforts. [08:44:15 CEST] <Cracki> potentially some kind of header. that's all I would hope to get out of that file alone. [08:56:05 CEST] <pragomer> ps: originally the file has no extension, just "webm"... the dat7 extension was "defined" from our forensics tool "x-ways"
[11:43:34 CEST] <haystack> Hi, I would like to share my screen using ffmpeg but i'm not able to host the streaming server within this company. Has anyone solved this problem already? Or can recommend a service that accept encrypted ffmpeg streams? [11:50:31 CEST] <Celmor> which I need to first "install"? [13:52:14 CEST] <YokoBR> please, how can I get a remote m3u8 (hls) and re-stream it? [13:59:41 CEST] <kepstin> assuming the codecs are compatible, i'd expect that to work. [14:05:14 CEST] <ozette> can ffmpeg follow that link? [14:25:23 CEST] <Franciman> av_frame_get_best_effort_timestamp is now deprecated, what should I use instead? [15:28:26 CEST] <King_DuckZ> my question is is it safe to do the same if over the string name? is there anything I should watch out for? [16:01:32 CEST] <King_DuckZ> I'm looking at how find_codec_by_name() is implemented, it seems to be just looping over a list and stopping at the first match, so I should be ok right? [16:19:52 CEST] <King_DuckZ> anyone who can help with my question please? [16:21:02 CEST] <King_DuckZ> JEEB: ah I didn't see that, it got lost in the spam sorry! [16:48:47 CEST] <King_DuckZ> JEEB: I'm confused... that commands prints h264_nvenc h264_omx h264__v4l2m2m h264_vaapi, would the codec_id be the same for all them? is that what you meant? [17:11:13 CEST] <tuna> Hello again, I previously was here asking about hardware encoding...that works great now, however I'd like to implement hardware decoding now. My question is where should I start with the decoding...I have a software decoder setup and running...will I need a hardware frame context like with the encoder? [17:19:14 CEST] <tuna> So, I should be able to essentially copy paste that part (maybe some minor changes like size/format) but then the hardware frame that I alloc with ffmpeg, I can then expect to be filled by the nvdec? [19:17:41 CEST] <Celmor> can I interrupt a conversion, play the output file to see if it's as I want it and then continue the conversion afterward? [19:22:07 CEST] <ntd> anyone know of a no-nonsense x/xorg program that can/will just display N video inputs in a grid view? [19:23:07 CEST] <ntd> been using a cfgraph, works swell if all inputs have the same fps, surely there must be some software that simply does this? [19:24:05 CEST] <ntd> will mpv handle say twelve diff inputs (rtsp, http mjpeg, v4l), diff fps at the same time? [19:28:48 CEST] <Celmor> you mean the video outputs? [19:31:21 CEST] <benlieb> @Hello71 I need to capture time frames down to the milisecond the way ffplay allows. Do you know of a media player that does this (and then allows the time to be copied or written to a file)? [19:31:28 CEST] <benlieb> Im ussing the ffplay log. [19:31:56 CEST] <benlieb> Am I to assume that the answer is that this 10 second value isnt configurable. [19:33:03 CEST] <benlieb> @Hello71 Is that because we can always assume that documentation is fully representative of whats possible? [19:34:18 CEST] <ntd> scripting this is just asking for trouble afaik. some sw must be able to read N inputs, decide on a common "start" and just display them? 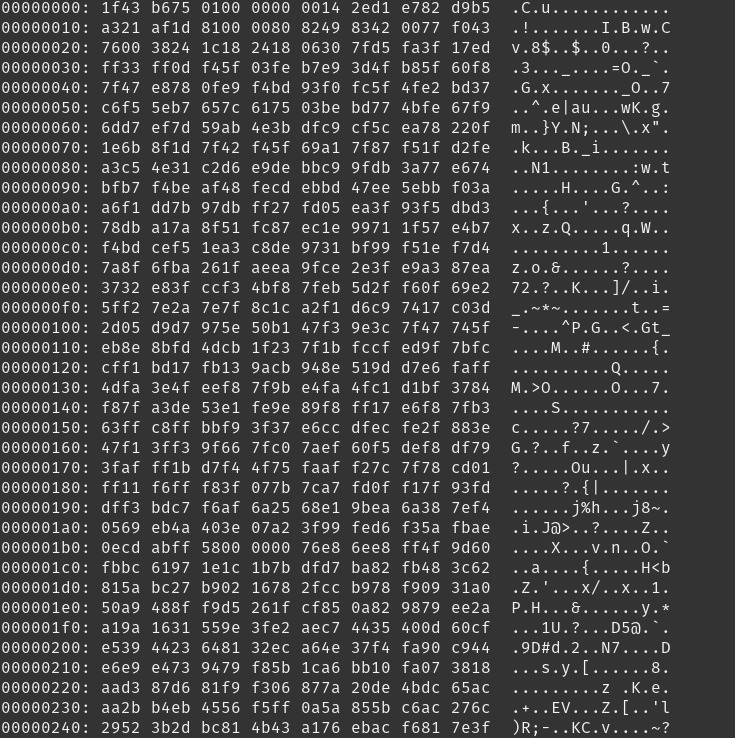 [19:54:44 CEST] <tuna> For decoding (via hardware) off of a RTSP stream....Earlier you (i forgot the user name and I got detatched so I lost the history) said that I need the same context setup as the hardware encode. However, to init the hwframescontext I need width and height of the frame....but I do not have that until I recieve the NAL unit from the stream....is it possible to init the hwframe without knowing the size until I get that NAL unit? [19:56:37 CEST] <ntd> Hello71, go on? [19:57:19 CEST] <ntd> https://unix.stackexchange.com/questions/434868/play-4-rtsp-streams-in-fullscreen <--- googling ""linux" " video" "grid view""
[19:57:28 CEST] <ntd> one relevant result, no stack answers..
[22:05:04 CEST] <acos> Howdy all. Trying to find out if a blackmagic hardware capture card will work in this software. What's the cheapest one? Thanks in advance. [22:25:41 CEST] <ThugAim> compiled and installed with checkinstall, but even when when installing the 'supposedly' 64 bit version it gives the /usr/bin/sensible-pager no such file or directory error. [23:21:19 CEST] <BtbN> That sounds like you are using some random script, and it wants you to replace that with, wenn, a sensible pager.